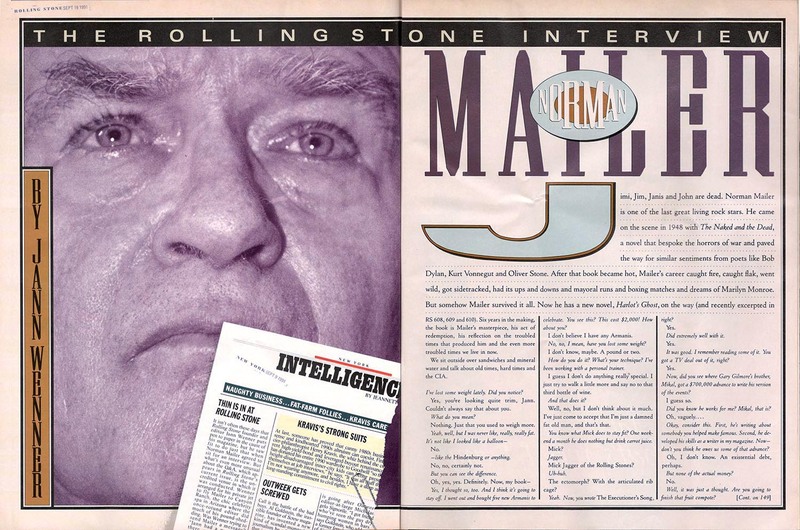 Vanity Fair and People as spoofed by Spy, 1991. Parody Of (in order): Vanity Fair, People, The New Republic, Architectural Digest, Esquire, Rolling Stone, New York, GQ, New York Times Book Review, Harper’s. 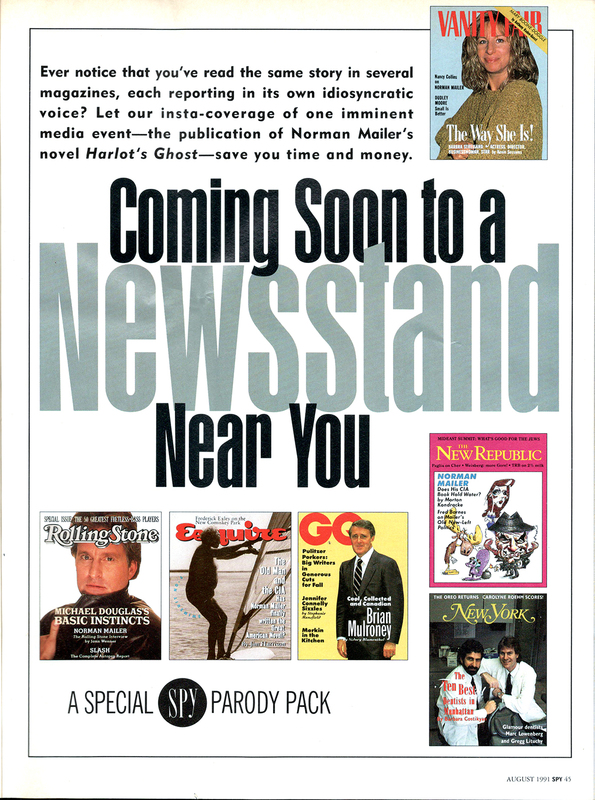 Title: “Coming Soon to a Newsstand Near You.” Parody In: Spy, August 1991. Pages: 9. Contributors: Uncredited. Availability: Not hard to find. Spy, Aug. 1991, p. 45. Tiny covers from p. 45, enlarged. This entry was posted in Newsstand Parodies and tagged 1990s, Architectural Digest, Esquire, GQ, Harper's, Magazine, New York, NY Times Book Review, People, Rolling Stone, Spy, The New Republic, Vanity Fair. Bookmark the permalink.